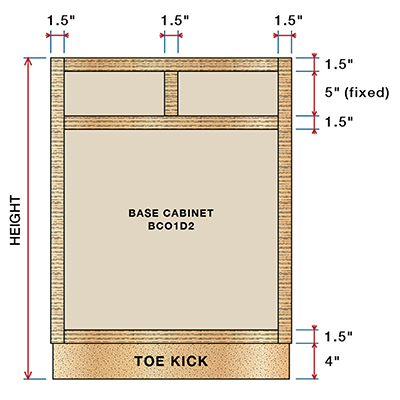 This base cabinet has two equal drawer openings at the top with a fixed height of 5 inches. Available with or without an adjustable shelf. Our ready to assemble cabinet boxes come with interiors finished with PureBond formaldehyde-free technology.